With regards to canned food, the All American 921 pressure cooker works miracles in your kitchen. With Its wide capacity, it is easy to accommodate as many as 19 pint or 7 quart jars. There is also a pressure gauge that provides excellent reading and also there is a pressure control valve that operates on three pressure settings. The 921 pressure cooker is extremely easy to use and completely safe to use, even for individuals who are not specialists in the kitchen. Included is an instruction guide where you can find information about how to use the unit and some important safety recommendations. It comes with two automatic venting features to keep your kitchen even safer when you use the pressure cooker. One of the best features of this unit is how convenient it is to be able to store stews, soft veggies and other meals within a can just by popping off the lid and then appears delicious home-cooked meal. This will eliminate all the hassle and trouble of having to prepare food when you are already hungry. The All American 921 is different from any pressure cooker on the market because of the metal seal that removes the need for a lid gasket, but at the same time, manages to be extremely accurate and effective cooker (and canner). It is easy to read the gauge but actually you won’t have to monitor the gauge because this unit is built with ease and automation in mind. All American automatically lowers the pressure when it gets too high and you can choose 3 default PSI settings (5, 10 and 15psi). Canner holds seven 1 qt jars or 19 1-pint jars. This unit was designed with simplicity in mind and is described by current owners as an exceptionally user-friendly pressure cooker. To secure the top, it makes use of a simple metal clamps, rather than a gasket and more complex locking mechanism that other brand use. Also, the All American features an easily readable pressure gauge and current owners agree that it is extremely accurate. Keep in mind that this cooker/canner is very heavy, indeed heavier than other cookers out there, so you need to be extra careful when you lift it when it’s full. It is not recommended to use this canner on a glass stove or any other smooth-top range because of the weight. 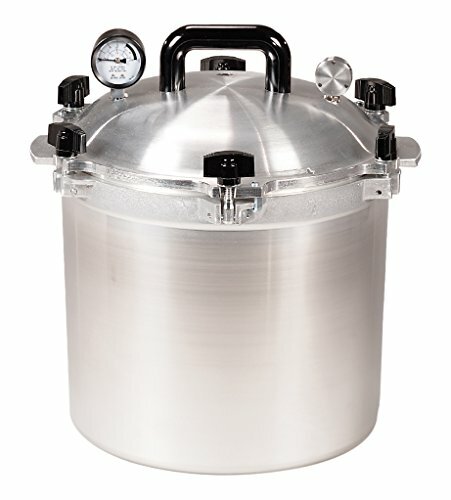 Therefore, you need to take that into account before you invest in any canner, and especially large models like this one. Having said that, you should measure your range to guarantee the canner will certainly clear any vents in your stove. The All American 921 pressure cooker is one of the easiest canners to work with and very safe also. To have you covered, it is packed with safety features such as the unique metal-to-metal seal and the two back-up safety measures in case the cooker becomes over-pressurized. These over pressured mechanisms are the safety-control valve and the over-pressure plug. Also, there are no parts that can wear out, so you don’t have to think about any replacement parts due to the lack of rubber gaskets. 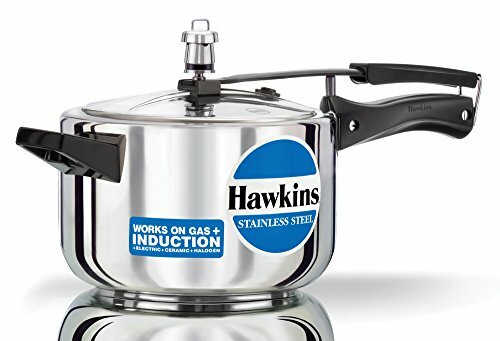 Current owners all agree that this stainless steel pressure cooker/canner is extremely durable, built with high quality, very reliable, high quality and to cover you even more, it includes a one-year warranty. This pressure cooker is perfect for your canning needs. Current buyers all agree that the All American 921 pressure cooker and canner is among the list of number one choices of its kind of a cookware being sold today. 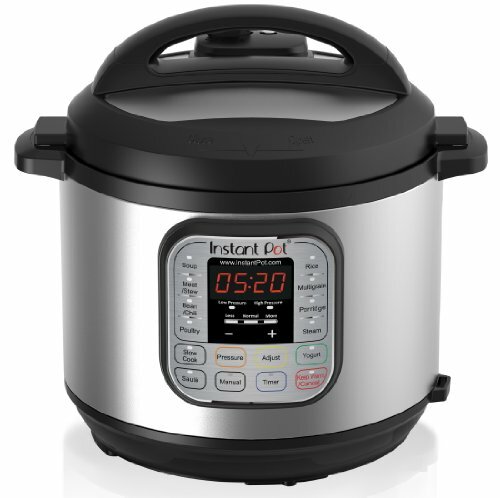 Having the capacity of holding 19 pint jars or seven quart jars makes it one of the top selections for pressure cookers and on top of that it is often referred to as the most joyful pressure cooker to use. It is very large and because of its size, users prefer to use it mainly as a canner. Current owners have commented on that they constantly use it to cook large meals with great results and some have said that they use it to make large batches of broth and are thrilled with the results as well. Finally, I have to point out that it is available in 10.5 qt, 15.5 qt, 25 qt, 30 qt as well as 41.5 qt sizes. It’s not hard to rate this pressure cooker and it has received almost perfect score from current owners. 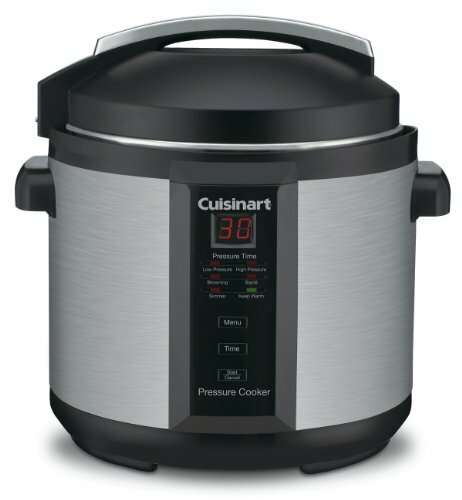 This is truly a first class unit and has been getting one of the best pressure cooker reviews online from thousands of happy customers. 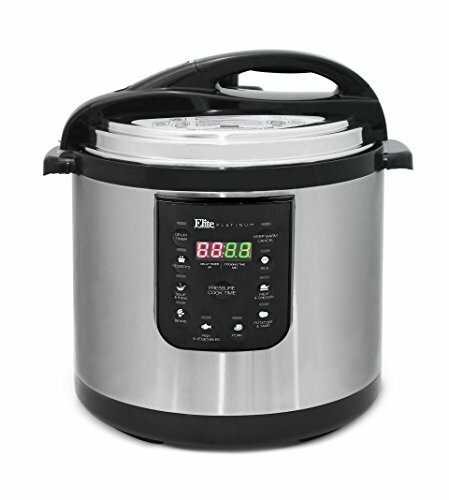 Having said that, it is easy to see that the All American 921 has become one of the top pick of pressure cookers/canners. Packed with safety features such as the automatic overpressure release function that will ensure you can cook with safety without having to worry about the cooker exploding all over your kitchen. It is heavy duty and built to last for a long time with constant use. The All American 921 is the one you would choose to fulfill your canning needs. Because of the huge capacity, it is ideal for canning, and that can be very convenient if you need to store food or simply to prepare a large dish for a number of people. You will definitely get what you pay for and therefore if you are looking for something that will last for years to come, without having to think about replacement parts and you want a cooker/canner that is reliable and safe, then you should consider The All American 921. 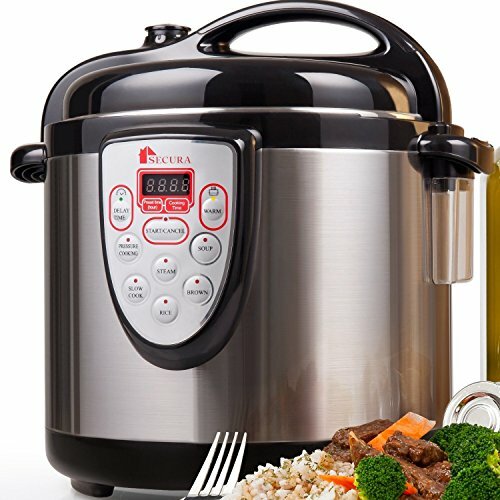 However, when you’re on a tight budget, or simply do not need all the extra capacity then rest assured, there are tons of other pressure cookers available. Nevertheless, I just can’t recommend this pressure cooker/canner enough. 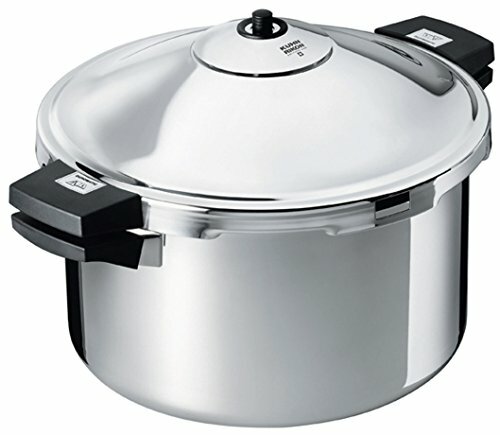 It is one of the best stove-top pressure cookers available today. It is an absolute gold for canning lovers and those who are interested in home preserves. The All American team has put a lot of work in this cooker to make it efficient and safe canner and it will continue to receive top-score grade for years to come. If you are comfortable with the size and the price tag, I sincerely encourage you to consider the All American 921 simply because this is a first-class unit that will last you for the rest of your life.